Talybont-on-Usk has a rich heritage dating back to the Iron Age. The landscape shaped this early history, with several hill-top Iron Age settlements of which Allt yr Esgair (left) is the most prominent and a recently restored Bronze Age burial cairn (Cairn Pica) above Aber village. 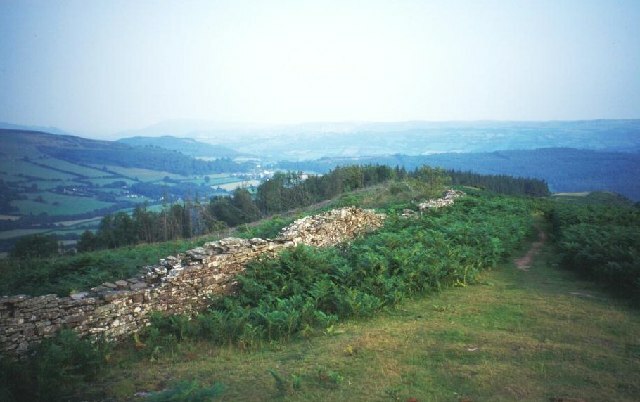 The Roman road from the fort near Tretower to the fort at Brecon passes just below Allt yr Esgair. The Norman invasion saw the building of a small castle at Pencelli, now the site of a grand 16th century house. The noted metaphysical poet and physician Henry Vaughan [1621-1695 right], whose nom-de-plume was “Silurian” was born in what is now Newton Farm. He lived much of his life in the area and drew inspiration from his natural environment. He is buried at Llansantffraed Church just across the Usk from Talybont. There is a short circular Henry Vaughan walk starting and ending in the village with interactive swing posts that reveal excerpts from the Vaughan brothers’ notable poetry. The Monmouthshire and Brecon canal links Brecon to Newport, and is fed from the river Usk in Brecon. It is largely a contour canal, winding sometimes quite abruptly as it clings to the walls of the Usk valley, but one of the few embanked causeways runs through Talybont. The canal was opened in 1800 to transport lime and coal and iron to Newport and agricultural raw materials to Brecon. To the east of the village, the canal runs past some well-preserved lime-kilns at Overton Wharf. This marks one end of the 8 mile Bryn Oer tramroad, linking Talybont to Trefil. 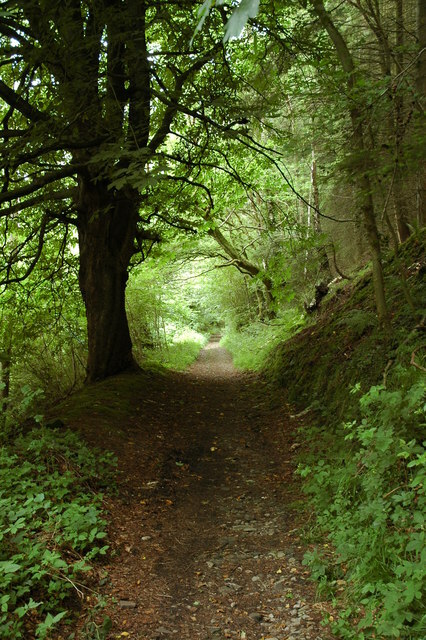 The Brinore tramroad was used to bring lime stone down from the escarpment. 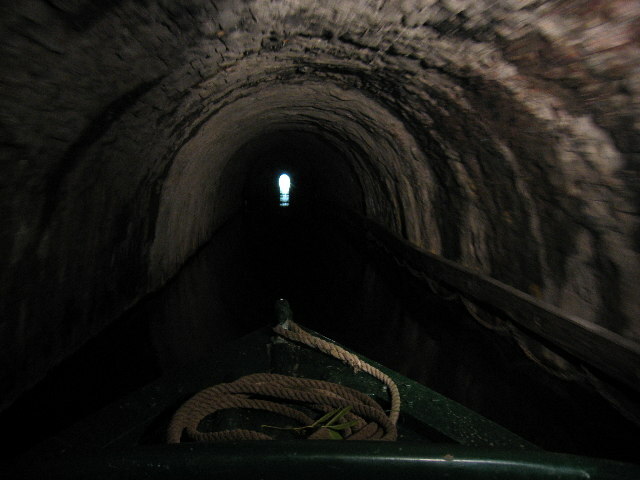 Further to the east of Talybont the canal passes through the Ashford tunnel, the only tunnel on the canal, where boats would have been ‘legged’ through by boatmen lying on their backs and walking along the tunnel wall! The railway from Merthyr to Brecon was opened in the 1860’s linking Brecon to South Wales, and joined the existing railway from Hay to Brecon. There was a station at Talybont, now an outdoor centre. The railway was closed in the 1960’s, a victim of the Beeching cuts. 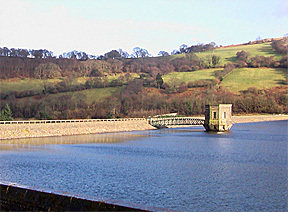 Talybont Reservoir [right], about 2 miles South of the village, was completed just before World War II to provide drinking water for the town (now city) of Newport. The workforce to build the dam and surrounding works travelled by train from as far away as Newport. The railway ran along the eastern bank of the reservoir, and is now an excellent nature walk.